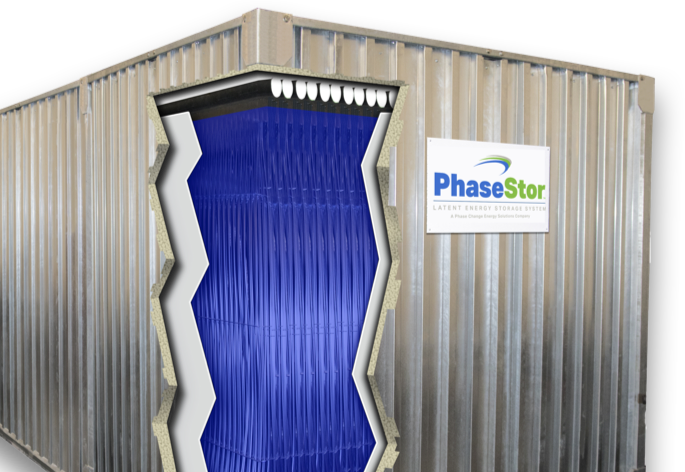 Built and driven by BioPCM®, PhaseStor is a large-scale, hot or cold thermal storage solution that can store more than ten times the amount of energy as chilled water. 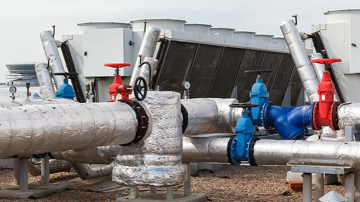 Bulk thermal storage allows owners to melt or freeze BioPCM during night-time hours and turn the system down or off during peak demand periods, reducing peak demand charges. 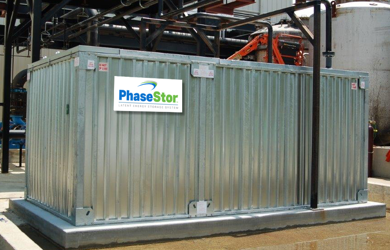 PhaseStor systems generally require less energy to operate because the system runs at a tunable temperature and reduced run time. 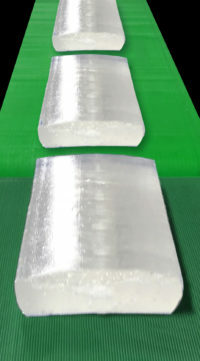 PhaseStor can be used in applications of waste heat recovery, as an example, reducing carbon emission while increasing the thermal efficiency of a system. PhaseStor adds redundancy in the system for times of scheduled chiller/boiler maintenance or outages. 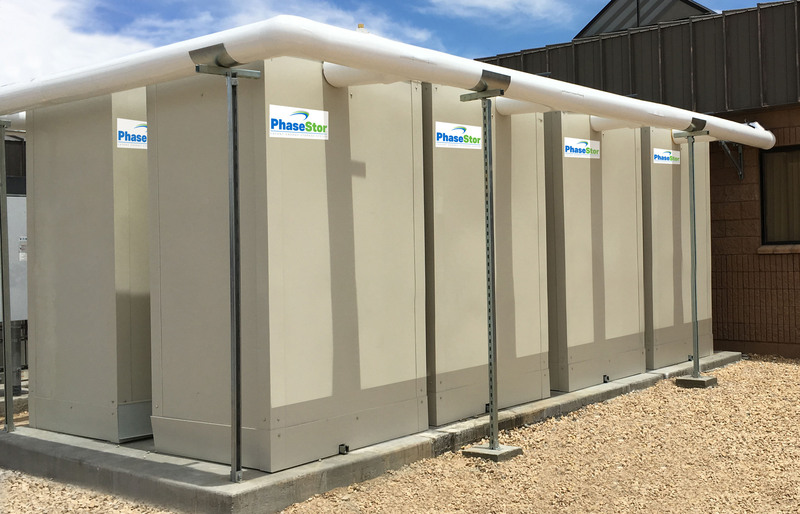 PhaseStor requires less equipment maintenance and less pumping than traditional systems, extending the operating life of your HVAC system. 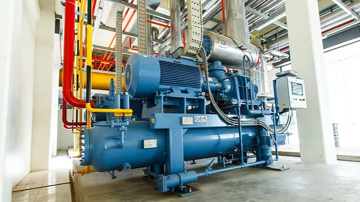 It maximizes energy savings using standardized, efficient components and could provide double or triple the savings over ten years. 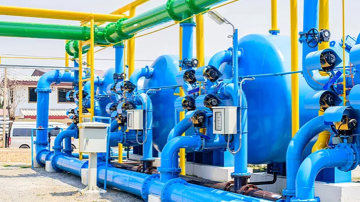 No matter what type of HVAC system your building uses, our applications engineers can recommend the best solution for implementing PhaseStor into your energy plans. 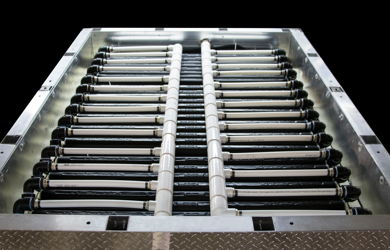 We look forward to discussing your thermal storage needs and discovering how PhaseStor can save you energy while providing peace of mind. Want more information on PhaseStor?